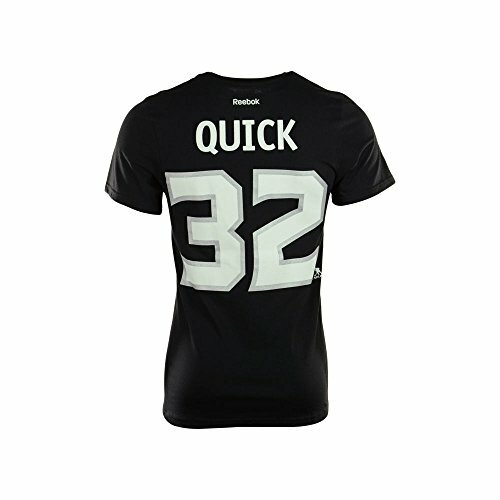 Reebok's Name & Number Tee is a great way to show off your favorite player and team! 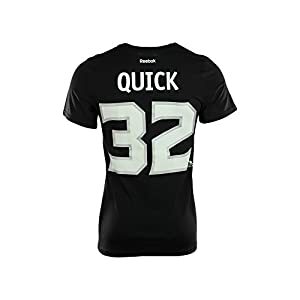 This NHL Officially licensed short sleeve Jonathan Quick name and number T-shirt is 100% Cotton with the player name & number screen printed on the back and team logo screen printed on the front. It looks like a jersey with the cost and comfort of a T-Shirt!